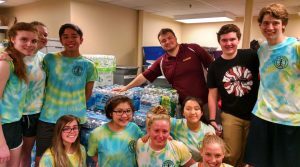 ORGANIZE A DRIVE – Bridges Outreach, Inc. Narrow the focus of your drive: Choose one or two items to focus on for your drive. If you open it up to any and all clothing donations, then you usually just end up with a large collection of assorted items that people would otherwise just throw away. Instead, focus on one item that is a need. You can even give your drive a theme. “Boxes of Socks”, and “Winter is Coming Blankets” are drive themes that have been used in the past. It makes the drive easier to promote, and eliminates the guesswork of what people should donate. Below is a list of seasonal and year-round clothing needs. Please note that our greatest need is always for men’s clothing. We encourage you to coordinate with Bridges when planning your drive. We have a lot of experience, and can provide some helpful tips to make your drive a success! Email the Manager of Operations, at volunteer@bridgesoutreach.org. Sort and check the items prior to donating them: Most items can be sorted by gender/age (men’s/women’s/boys’/girls’). We encourage you to sort items by size as well (men’s large, women’s small, etc.). Our donation team is made up of a small group of volunteers, and it can be overwhelming for them to have to sort through hundreds of donated items on top of the regular donations that we receive. Sorting your items ahead of time alleviates a tremendous amount of work for our team. Sorting your items also allows you to check that all donations meet the required standards. Please remember that one person’s junk is our junk too! Simply inspecting the items as you sort them helps us effectively get your donations to us and out to those who really need them! Coordinate a drop-off time with Bridges: You have everything sorted and ready to go. Please let us know in advance when you want to drop off your donations. Our team always appreciates a heads up when large amounts of donations are coming in. If your drive was part of an organization, then we encourage you to bring your group for the delivery! We are always happy to take some time with your group to explain where your donations will go, and who will receive them. Our normal donation drop-off days are Tuesdays and Fridays, from 9am-3:30pm. You can call our office or email us at volunteer@bridgesoutreach.org to coordinate a drop-off.